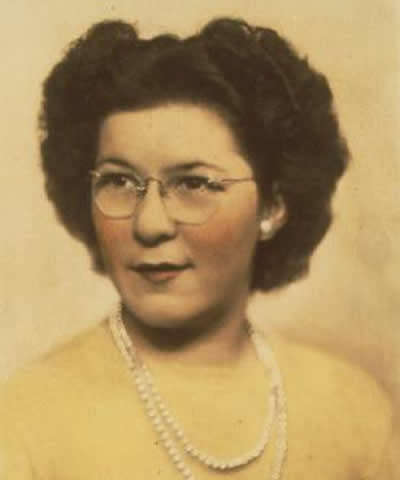 Dolores Mae Boddice, daughter of William Boddice and Florence May Mack, was born on 26 Dec 1919 at Charleroi, Westmoreland County, Pennsylvania. She married James Calvin Stanley, son of Felix Senter Stanley and Hiley Victoria Rose, on 02 Apr 1938 in Baltimore County, Maryland. Dolores married Dale Kelly, son of Samuel Kelly and Viola Luella Gaston, in 1947 at Mount Vernon Methodist Church, Washington, District of Columbia. Dolores died on 17 Jul 1984 at City Hospital, Baltimore City, Maryland. She is buried at Gardens of Faith Cemetery, Baltimore County, Maryland.